13cm x 10cm Nagorie curly feather Hackle pads. Beautiful curly feathers on a felt pad. Create stunning headbands with our supplies. Match colours to your favourite sports team. See our fold over elastic (FOE elastic), sequin bows, rhinestone buttons for your headband making supplies. 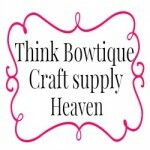 Think Bowtique for all your hair accessory supplies.